Bryan Gregson is an accomplished independent photographer & cinematographer specializing in creative visuals. Based in Bozeman, Montana, he travels the globe working on assignments and commissions in some of the most remote corners of the planet. Known for his unique vision and storytelling abilities, Bryan is the humbled recipient of numerous awards and today is a leading source of outdoor imagery. Bryan’s journey to professional photography & cinematography was strongly driven and influenced by water. Raised in Utah, he is a lifelong pisciphile who spent hours fishing in the mountains outside Salt Lake City. When he was a teenager, his father passed away, an event that profoundly impacted Bryan’s trajectory. Leaving home at an early age, he made his way to Hawaii where he surfed and lived on an off-the-grid farm. He spent his 20’s on the water as a commercial fisherman in the North Atlantic and Pacific in the summer and on snow in the winter. After returning to his roots in the Rockies, Bryan mastered photography & cinematography in the winter action sports industry under the tutelage of some of the top mountain shooters. 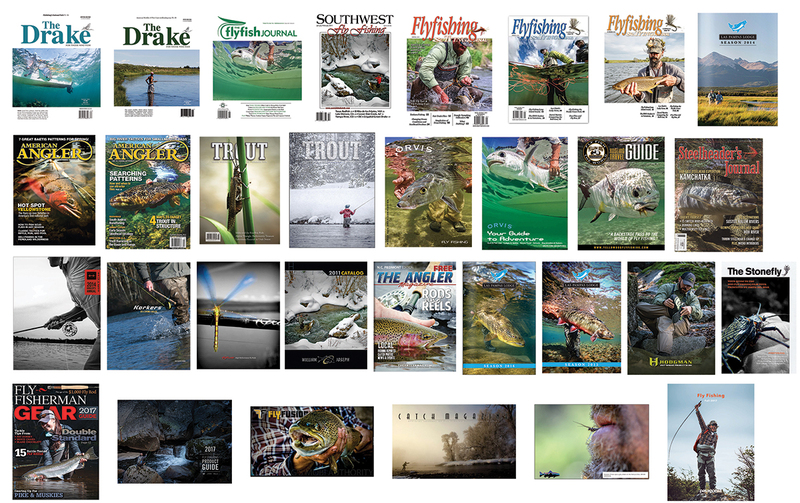 From there, he turned the lens to capturing fly fishing and adventure around the globe. Along with his dedication to craft, Bryan has followed in the footsteps of fierce western conservationists, acting as a key organizer for what is now known as the Utah Stream Access Coalition, a group that seeks to ensure fair public access to streams. An award-winning adventure sport and documentary photographer & cinematographer, Bryan’s work has been featured internationally in publications and ad campaigns for: Patagonia, Volvo Cars, National Geographic, Yellow Dog Flyfishing Adventures, Yeti, 3M Peltor Communications, 3M Scott Fire & Safety, Orvis, Hatch Outdoors, Big Agnes, Sage Flyfish, Traeger Grills, Meat Eater, The Drake magazine, The FlyFish Journal, Gray’s Sporting Journal, Travel + Leisure, Conde Nast, Pure Fishing, Field & Stream, Washington Post, among countless others.